Silverstone Bentley Drivers Club, National Circuit, Saturday, 6th August. New Elms are Triple Trophy Winners! 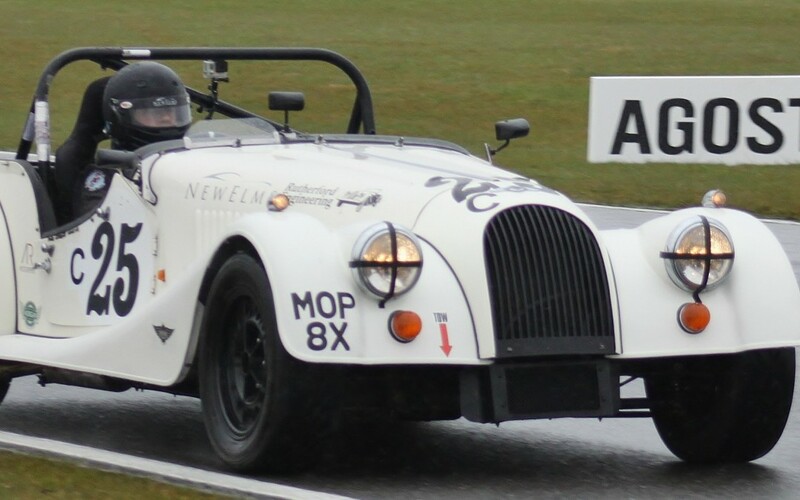 Motorsport has always been an underlying passion for us all at New Elms, with active participation in the Aero Racing Morgan Challenge (circuit racing), Speedmog (hillclimbs and sprints), trials, rallies, autotests – we are always happy to advise and carry out the necessary modifications to turn your car into a winner. In 2011 the New Elms Morgan Plus 8 won Class C and the Peter Collins Tray, which is awarded for the outright winner of the Aero Racing Morgan Challenge. 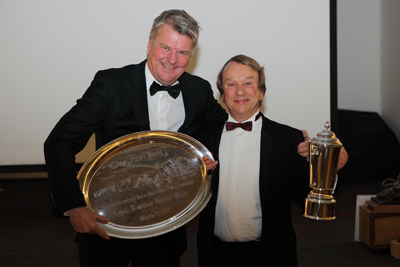 Tim accepting the Peter Collins Tray and the Class C trophy from Charles Morgan at the Drivers Awards night November 2011. Silverstone New Grand Prix Arena Circuit – June – 1st Class C and established record for class. 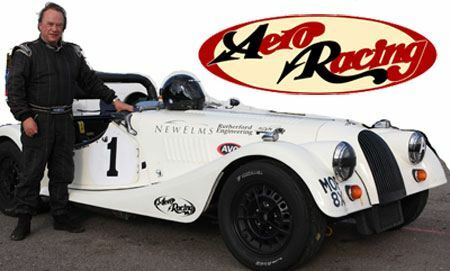 Cadwell – July – 1st Class C and New Class Lap Record. Thruxton – July – 1st Class C and Fastest Lap for Class. Silverstone National Circuit – August – 1st Class C and Fastest Lap for Class. Castlecombe – August – 1st Class C and Fastest Lap for Class. Snetterton “200” Circuit – October – 1st in Class C and established lap record for class.